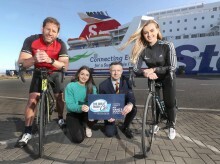 ​AS more people book ferry travel as their preferred mode of transport between Northern Ireland and Britain, the country’s biggest ferry company is giving holiday-makers good reason to choose sea travel. 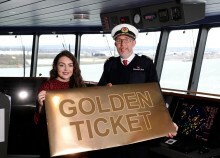 AS more people book ferry travel as their preferred mode of transport between Britain and Ireland, the country’s biggest ferry company is giving holiday-makers good reason to choose sea travel. AS more people book ferry travel as their preferred mode of transport between Britain and Northern Ireland, the country’s biggest ferry company is giving holiday-makers good reason to choose sea travel. 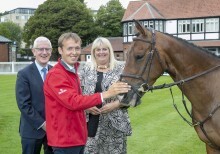 ​LEADING ferry company Stena Line has commenced preparations for its second year as title sponsor of the Dublin Horse Show including the launch of a special booking rate as Official Ferry Partner for the 2019 Stena Line Dublin Horse Show. ​Seven is considered a lucky number for a lot of people and it couldn’t be more fortunate for Stena Line passengers as they can now set sail from Cairnryan to Belfast or Liverpool to Belfast from £7 per person! ​Leading ferry company Stena Line has once again been the principal sponsor of this year’s Northern Ireland Logistics and Transport Annual Gala Dinner, hosted by the Chartered Institute of Logistics and Transport (CILT). 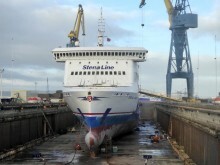 ​As a part of the ongoing development of Stena Line’s Irish Sea route network, the Stena Forecaster is transferred from Stena RoRo to Stena Line and will enter service on the Belfast - Liverpool route from Tuesday, 12 February 2019. 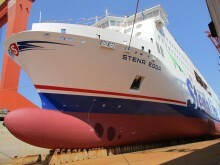 Stena Forerunner will transfer back to the North Sea and operation on Rotterdam-Killingholme. ​Stena Line is in the process of launching the smartest chatbot into the ferry market. Stina will help make the customer experience even better by providing assistance in booking a trip as well as answering questions 24/7. The chatbot is an important milestone for Stena Line in its quest to becoming the world’s first cognitive ferry company. 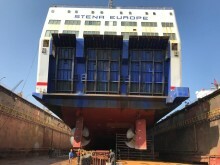 ​Stena Estrid enters next phase of construction Ferry Company Stena Line has achieved another important milestone in its major new fleet investment programme with the ‘launching’ ceremony of the first of its next generation of RoPax vessel taking place at the Avic Weihai Shipyard in China. Extended Offer: 25% off ferry travel in 2019! ​Must be booked before January 15th Leading ferry company Stena Line has launched a limited time offer of 25% off travel to Britain and France on the Dublin – Holyhead, Rosslare – Fishguard and Rosslare – Cherbourg routes*. ​Leading ferry company Stena Line has set a new company record for freight on its Dublin – Holyhead service carrying a total of over 250 000 units in 2018. 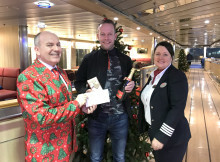 The milestone was achieved on 21st December when Patrick van der Vijver from Hannon completed the 08.10 hrs crossing from Dublin to Holyhead. 25% off ferry travel in 2019! ​Must be booked before January 8th Leading ferry company Stena Line has launched a limited time offer of 25% off travel to Britain and France on the Dublin – Holyhead, Rosslare – Fishguard and Rosslare – Cherbourg routes*. Must be booked before January 8th Leading ferry company Stena Line has launched a limited time offer of 25% off travel to Ireland on the Holyhead – Dublin and Fishguard - Rosslare routes*.